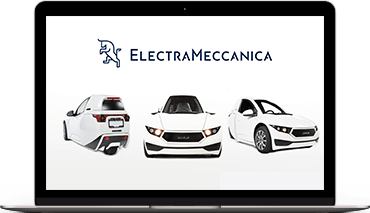 Electra Meccanica Vehicles Corp. is dedicated to the design and manufacture of leading edge electric vehicles. Drawing on a 59 year history of designing, building and delivering high end specialty cars, the Company has designed and built the innovative, all-electric SOLO, a single-seater electric vehicle developed to revolutionize the way people commute. 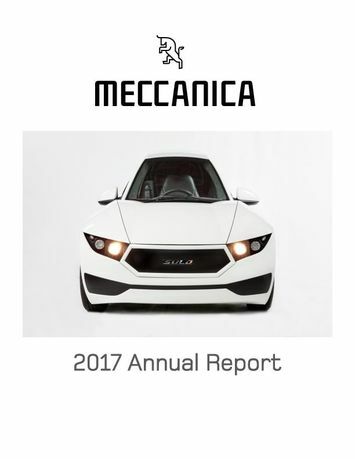 Electra Meccanica has also designed the Tofino, an elegant, high performance electric two seater roadster set for launch in 2019. Both vehicles are tuned for the ultimate driving experience while making commuting more efficient, cost-effective and environmentally friendly.